In reality, at the sixth century B.C, a second Babylon, Nebuchadnezzar II 's one, had been build on the elements of Hammurapi's capital. I planned on going there at the beginning of autumn for it was not far from Bagdad, with 90 kilometres in south. Unfortunately, on September 22th 1980, the war between Irak and Iran broke out. During forty days, Iranian planes flew over the capital and bombed it. They made much civilian victims. As the other inhabitants of my district, I ended to get used to their ceaseless raids and I lived again in a more normal way. Winter induced me to study. I began clever earches about the prestigious past of Babylon. I understood it clearly, it was becomen a mythical city that was reflected as in the water of the Euphrat, as in the ancient Jewish, Greek and Western sources. Former people had differently looked at it and even with contradictory ways. Mesopotamians saw Babylon as the “good city”, the centre of the world. They called it Bâb-Ili, the “God's gate” for it opened on the spiritual vocation of humans and led them at Marduk' s feet, the almighty master of the pantheon, of which residence was built inside the walls. Some hundreds of temples et de chapelles, devoted to different divinities, stood at the corner of the streets. Babylon begot by spirit. It surrounded soul, subjugated it. For Hebrews who had ticklish relations with their rich and opulent neighbour, it was the haughty Bâb-El, very provocative. It fascinated senses with its nice appearance, its flourished fragrances, so cheerishing, its rites, its secrets. Setting down as a queen at the shore of the river, dressed with fine linen, purple and scarlet-coloured, ornamented with gold and jewels, it abandoned itself to luxury, play, debauchery, and got drunk on palm wine in the pleasantness of evenings. At the first century, another Greek historian, Diodorus of Sicily and a georgrapher, Strabo, recognized its great abilities of astronomer and astrologer. smelt again the scent of its past scent. Then, a sky of oblivion fall on Babylon. The few Westerners who went through Mesopotamia, from the twelth to the nineteenth century, passed not far from it but nothing anything draw their attention. Some travelers compared it to a dethroned kings' dauthger, lying in dust and watched by owls and snakes. It seemed to be the victim of a curse. At the middle of the last century, archeologists unveiled again the brow that was hidden under the debris of Babylon. Since and after 1899, the works of the German Robert Koldewey allowed a reconstitution of the features of its face, that had kept their nobleness. In their turn, Iraqi people and government searched with assiduity, with nostalgia, all that remained of the city, that symbol of their greatness. They built, on ancient bases, imposing walls; they restored many gates and temples. Babylon came across, at the end of the twentieth century, its dazzling decoration, its history and its dryed up power. It played again its role of cultural capital. Spring came back. I was longing to realize my dream, to become aware of the new beauty of this city that was always silhouetted at the horizon of my thoughts. At the entering of the site, an enormous basaltic lion, heavy, hardly rough-hewed, stood up front of me, with an enigmatic look. I saw that it gripped in its paws a confused mani. Behind the animal, opened a long avenue paved with smooth flagstones, calcareous and breccia, excavated by Koldewey. On the occasion of the celebration of the Babylonian New Year, the “ Akitu”, Marduk and else gods's effigies, clad with splendid clothes, took down it. The sumptuousprocession passed then between the thick surrounded walls, ornamented with friezes of emailed bricks, that had each one on them a suite of sixty lions with blazing manes. With their low tails and their opened mouths, these majestuous creatures, symbolizing Ishtar, the goddess of War and Love, seemed to accompany the procession. On the blue overseased background of bricks, they made burst, with a symphonia of colours, their resounding tawny golden, virile red and full bloomed white notes. I thought with emotion that this alley had seen not only the famous monarchs of Babylon, but foreigned kings too, as the Persian Cyrus and Xerxes, all of them swathed in the same ochred and blue enchantment..
Later, standing on his chariot, his leonine hair fired by the Sun, Alexander the Macedonian, had made a triumphant entrance in the town. Its oppressed inhabitants, impoverished by the Persian Achemenids who ruled them since 539 B.C, had welcomen their liberator with acclamations, flowers and crowns. I let the sacred road and approached Ishtar gate that crossed it and was the main entrance of Babylon. It sparkled with green and blue. An Iraqi flag floated proudly by its side. Some palm-trees faned it. It was a double-gate, fixed on the ground, aimed to the skies. The uppered-part, that had heavy pannels of emailed bricks, had been removed from its hinges by the members of the German expedition before the First World War, and transfered to the Museum of Eastern Antiquities of Berlin. The lower part only remained, rebuilt as a miniature version, and equiped with a arched opening and four crenellated towers. It was decorated with white palmets, running grey-blued dragoons, with eagled and felined paws, Marduk's symbols. They alternated with the wild bulls of the Storm god Adad. With their sky-coloured furs, their large dreamy eyes, theses bovines impressed me. All the animals emanated from the glaucous ground of the gate. Should I see in them the spirit and the memory of the city ? The famous Nebuchadnezzar II had made arrange the processionnal way and Ishtar's Gate. He had let his name as stamped on the field of the great flagstones that covered the roadway. Compared with a dragon in the Bible, (Jeremiah, 51,34 ) he was known too by economical texts, royal inscriptions, ancient authors. In 1842, an artist as Verdi, gave his name to an opera, Nabucco, animated by a fiery patriotic inspiration. Nebuchadnezzar remained an energetic and complicated man. He was Nabopolassar's son, wha had founded about 625 B.C the Neo-Babylonian empire contributed to the collpase of Assyria in 612. He kept the stamp of his Chaldean origin, an Aramaïc tribe, the Kaldû, mentionned on the ninth century in Assyrian documents and who went to settle in Lower Mesopotamia. In 605 B.C, Nebuchadnezzar succeeded with defeating Egyptians in Karkemish on the right of Euphrat. He pushed the gate of Syria-Palestine and penetrated in the area. Disobedient, the Kingdom of Juda refused before long to pay a tribute, and revolted. On March 16th 697, the king of Babylon took Jerusalem and deported three thousands inhabitants. In spite of the advices of sumission of the prophet Jeremiah, the Jewish resistance didn't reduce. King Sedecias revolted at the beginning of 588 B.C. Nebuchadnezzar came back to besiege Jerusalem, made a rush on July 29th 587 B.C, burnt the temple, the houses. Nobles and craftsmen, some thousands people, bound their reins with the belt of captivity and walked toward Babylon. These transportations, in Mesopotamia, were only small events in the life of the empire. They haven't any racist aspects. The elite of the Jewish population was transferred in a foreign country after a conflict between nations, and had been quite well treated. Nebuchadnezzar received in his court the most handsome and the cleverest young men. He made them taught in his language, nurrished them at his own table, as told in the Bible the prophet Daniel. Some others, the most numerous, adapted to their new way of life and prospered among Babylonians. Nebuchadnezzar stood up to besiege Tyr during thirteenth years, then seized the city. If we confined ourselves to the inscriptions that commemorated his works, he did not set his vast empire on war. Valorous but wise, sensible, he merely conforted it. Inside the borders, the sovereign proved to be a remarkable administrator. He controlled agriculture, developped the trade with the Indo-Iranian Eastern, the Mediterranean, encourage arts and sciences like mathematics, astronomy, that are the ground of our knowledges. He was interested too by the past. The golden head means the most achieved, the most perfect being of Creation. Under the rule of Nebuchadnezzar, then, the country forgot itself in peace. So the king could devote himself to works of architecture. He sword to restore, embellish his beloved capital, that had then nine hundred hectares within itself, and sheltered a population of one hundred thousand inhabitants. And indeed, he enlarged the canals and the enclosure of the city made by two walls separated by a large distance. He erected monuments, of among which a splendid temple devoted to Marduk, and a vast palace, a residence of majesty. I called no longer after another ghost, the prince Bel-Sharra-Usur's one, the Belschatsar of the Bible. He was Nabonidps' son, the last king of Babylon. Did not he give, in this room, a legendary banquet that, later, Rembrandt immortalized in a famous picture, inspired with the sacred text ? Very dreamy, I left the palace. Just before going away, I turned back, trying to see, at the corner of the citadel, the beautiful hanging gardens that had been described by Diodorus of Sicily and Quintus-Curcius, the Latin historian, as the seventh wonder of the world. According to them, the breeze balanced, above the high walls, the dazzling and hudled peaks that were raising to the sky. Gardens of freshness and pleasure, gardens of Eden, created by the nostalgia of a languid queen with subdued dark eyes, who regretted the mountains and the woods of her native Media : Amythys, the grand-daughter of King Astyages, Nebuchadnezzar's wife. Here are steps that fly away towards vaulted terraces, supported by columns and adorned with vigorous trees of all species, well irrigated by an ingenious system : Cypress, peach, apricot, fig and granada trees, and rose-trees of Persia and Bactrian. At evening, when mauve shades dance in the plain arround, Amythis goes up towards the platforms, her heavy golden bracelets tinkling on her wrists. She slips under the young foliages, searching for the green plenitude. She rests under the shadow of her childhood memories. Years flee by through the hanging gardens, that are already legends. But the queen of Babylon comes back always for getting back in touch with her inner self. Near to these gardens, in a room of the palace, in June 323, Alexander gave his last banquet. There he drunk a wine older than thousand years. Some days later, being delirious by fever, unable to speak, he greeted by screwing up his eyes, the Macedonian veterans who marched in silence front of his ceremonial bed. The sun layed down behind the towers of the city, tinging them with scarlet, when the king breathed his last. The Babylonians scanned the sky and its evening lights; they guessed a missing, harmful for the great project that wanted to make their city the capital of a universal empire. In a certain way, they will miss Alexander. A few time later, I was in Dohuk, a town at seventy-five kilometers from the north of Mosul, next to the defile of a mountain which has the same name. It was famous for its fig trees, its vineyards that crowned it by vine branches and leaves, and for its granada trees that produced smooth-barked fruits, with a delicious bitter-sweet taste. I hadn't forgotten the splendid rupestral reliefs which stood not far from the close village of Maltaï. Evening was falling, reliefs bathed in a rose lightness then vanished. The so-vivid past returned in the shade. The following days, I dashed off in pursuit of Assyrians' track, who had built citadels, carved other rocked walls, at Mala Mergué and, more in the east, at Hinis Bavian, no far from the city of Ain Sifni. They had marked with their own seal Upper-Mesopotamia. I fitted their quartered sandals and, untiring traveler, unworry of anything, I went over their stiff and fertiles lands. They spred mainly between the Tigris and its affluent the Zab. I crossed mounts and valleys, hills and woods, I passed through pastures scored by rivers of fresh water, I touched lightly bushes, buzzing by moired flights of bees. I strode over the fields of a forgotten time. Everywhere, I was seeking for the Other one, the Assyria of yesteryear, that which one does'nt see but that quivers in the shade. It was my blood sister, wasn't it ? While I was walking, I evoked its name with its voiceless and flourished syllables, full of mysteries. I watched for its footprints which filled up antiquities. It had founded a dazzling civilization, that lasted more than thousand years, and of which litghts were still shining. It carried me, I was all the greater for it, like Mesopotamians from yesterday and nowadays. It prolonged in me its rich customs, its irresistible dashes, its generous dreams. But alas, more often basing themselves on partial and hazardous informations, the Bible depicted this great power as a formidable ennemy, with a stern and pitiless face, a sovereign of Fear, inclined with conquests and plunderings, these sources of richness. And what about the countries that make today so such atrocities, massacres, and acts of genocides ? We had to wait for the middle of the nineteenth century for doing justice to the land of Assur and at last for telling the truth. Western diplomats Paul-Emile Botta, Henry Austen Layard, Victor Place, and others, took off with their passionate hands the bloody mask of Assyria and unveiled its moving face, powdered of gold. Their eyes met the fire of its look and they burnt for it. They breathed its elating scent,a mixture of myrrh and blackcurrant. They tried to preserve the dress by which the Civilization had ornamented it. They followed it in the ruines of its palaces, decorated with a great care, which stood up yesteryear in a pleasant landscape and smelt cypress, mulberry, juniper and pistachio trees. These diggers of the past listened to the vibrant voices that were still raising from tablets and bas-reliefs and related princes' exploits, the valiance of soldiers with pointed-helms, the piety of linen-dressed priests, the pure-bred beauty of horses and lions. They marvelled at finely carved ivories, unearthed in Kalhu, the second Assyrian capital. At the twentieth century, archeologists found again precious objets d'art, ciselled jewels as a token of craftsmen' exquisite taste and dexterity. Contrasting by beings and ladscapes, both faces of Assyria, the Biblic one 's, appealing but violent, dominating, and archeologist's one, captivating and refined, ended up to merge, in my eyes, in the symbolic personification of Semiramis, the queen with her golden headband. Subtle, bright and a fierce Amazon, her beauty outshone all the ladies of the palace. It seems that Sammuramat, King Shamshi-Adad V's wife, who ruled in Kalhu from 823 to 811 B.C, was at the origin of this legend. Semiramis might have married Omnes, the governor of Ninive and later was the second wife of King Ninos. When she became widow again, she would have attempt some conquests, lead a military expedition until India, found Babylon and created these wonderful gardens. She could not really die and she lived on in a white dove, the bird which is assimilated to gods. Semiramis preserved the memory of her country, reaching the dimensions of a myth. She fired the imaginations of Greeks, Herodotus, Ctesias, Diodorus of Sicilia, but Romans, Armenians and Europeans too. Crébillon, Voltaire, Valéry, Gluck, Rossini, made her the heroin of literary works and operas. Degas dedicated her an academic picture. These monarchs were not libertines with flabby bellies, weak and lascivious, nor bloodthirsty tyrants as they had been sometimes pictured. Made-up, perfumed, covered of jewels, certainly, but viril, energetic, always in movement. Being passionate about an impossible peace, they felt they were pressed to the most brilliant conquests and the highest vertigos by neighbouring populations, who tightened, like rushes, the borders of their empire and put them in danger. Robust warriors, more raging than floods, they annihilated their ennemies, crushed their shields, they set their triumph on territories and hadn't any rivals. They compared war, that ensured them economical perspectives, to a fight against Evil. Convinced of the valiability and the real supériority of Assyrian civilization, they wanted that it was recognized and adopted by surrounding countries. Those paid a tribute to Assyria but benefitted from its economical stability and enjoyed the moral and material advantages of the royal protection. Inside this immense empire, which, at the seventh century, spred from Cyprus to Iran and made communicate populations, languages and cultures, sovereigns didn't exert absolute power, as Louis XIV, in France. Their speeches were not a sharp blade. They were to count on the Ancients' assembly and on nobility and military caste. These magnificent, charming, artist, humanist had duties to their country. They had to develop agriculture, to maintain temples and canals, to built dams, to make respect laws. Thanks to a policy of prestige, a centralized administration, they tried to warrent to their subjects self-dignity, well-being, prosperity. They associated them to their own triumphs and joys. At the time of the inauguration of their splendid palaces, kings invited sometime the inhabitants of cities to copious feasts and satisfied them for several days with delicious foods, choice wines, and songs. 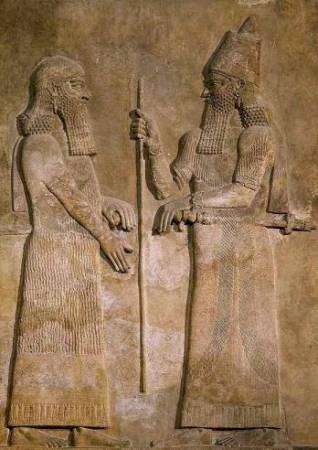 Simple representantives and gods' servants on earth - especially in Ashur - the kings were not immortal. After their death, they went down to the Land without return as any of their employees. They didn't built pyramids as the Pharaohs of Egypt, but simple tombs. They didn't care to bring their own goods with them. The greatness of these sovereings did not come only from their prowesses or their opulent luxury. They wanted to make shine in all the word the name of Assyria, that they venerated. Their true conquest was the conquest of peace, beauty, life. L'auteur nous conduit à la découverte de la Mésopotamie antique, et de ses civilisations qui nous ont légué un patrimoine inestimable et ont bouleversé le destin de l'humanité. Il nous met en contact avec les Sumériens, créateurs exceptionnels, qui jetèrent un regard neuf sur l'univers. Il inventèrent les premières villes, constituèrent les États. Par l'écriture, ils firent entrer l'homme dans l'histoire. Quelque temps plus tard, je me retrouvai à Dohuk, une ville postée à soixante-quinze kilomètres au nord de Mossoul, près du défilé d’une montagne portant le même nom. Elle était réputée pour ses figuiers, ses vignes qui la couronnaient de pampres et de feuillages et pour ses grenadiers qui donnaient des fruits à l’écorce lisse, au goût aigre-doux, exquis. Je n’avais pas oublié les magnifiques reliefs rupestres qui s’élevaient à coté du village voisin de Maltaï. Le soir tomba, les reliefs baignèrent dans une clarté rose puis s’effacèrent. Le passé bien vivant rentra dans l’ombre. Les jours suivants, je me lançai sur les traces des Assyriens qui avaient bâti des citadelles, sculpté d’autres parois rocheuses, à Mala Mergué et, plus à l’est, à Hinis Bavian, non loin de la ville d’Ain Sifni. Ils avaient marqué de leur sceau la Haute-Mésopotamie. Je chaussai leurs sandales à quartiers et, voyageur infatigable, détaché de tout, je parcourus leurs terres rudes, fertiles. Elles s’étalaient principalement entre le Tigre et son affluent le Zab. Je franchis monts et vallées, collines et forêts, je traversai des pâturages sillonnés de cours d’eau fraîche, je frôlai des buissons bourdonnants d’abeilles aux vols moirés. Je foulai l’espace d’un temps oublié. Partout, je cherchai l’Autre, l’Assyrie d’antan, celle qu’on ne voit pas mais qui frémit dans l’ombre. N’était- elle pas ma soeur de sang ? J’évoquai en marchant son nom aux syllabes sourdes et fleuries, chargées de mystère. Je guettai le empreintes de ses pas, emplies d’antiquités. Elle avait fondé une éblouissante civilisation, qui dura plus de mille ans, et dont les feux brillaient encore. Elle me portait, me grandissait, comme tous les Mésopotamiens d’hier et d’aujourd’hui. Elle prolongeait en moi ses riches coutumes, ses élans irrésistibles, ses rêves généreux. Hélas, le plus souvent, se fondant sur des données partiales et hasardeuses, la Bible dépeignait cette grande puissance comme une ennemie redoutable, au masque dur, impitoyable, une souveraine d’effroi, encline aux conquêtes et aux pillages, sources de richesses. Et que dire des pays qui commettent aujourd’hui tant d’atrocités, de massacres, d’actes génocides ? Il fallut attendre le milieu du dix-neuvième siècle pour que justice soit rendue au pays d’Assur et la vérité enfin dite. Les diplomates occidentaux Paul-Emile Botta, Henry Austen Layard, Victor Place, et les autres, ôtèrent de leurs mains ardentes le masque sanglant de l’Assyrie et découvrirent sa figure émouvante, poudrée d’or. Ils croisèrent le feu de son regard et s’enflammèrent pour elle. Ils respirèrent son parfum enivrant, mélange de myrrhe et de cassia. Ils tentèrent de préserver le vêtement dont la civilisation l’avait parée. Ils la suivirent dans les ruines de ses palais, décorés avec un soin extrême, qui se dressaient jadis au milieu d’un paysage souriant et fleuraient bon le cyprès, le mûrier, le genévrier, le pistachier. Ces fouilleurs du passé écoutèrent les voix vibrantes qui s’élevaient encore des tablettes, des bas-reliefs et racontaient les hauts faits des princes, la vaillance des soldats aux casques pointus, la piété des prêtres en robes de lin, la beauté racée des chevaux et des lions. Ils s’émerveillèrent devant les ivoires délicatement sculptés, exhumés à Kalhou, la seconde capitale assyrienne. Au vingtième siècle, les archéologues trouvèrent encore des objets précieux, des bijoux ciselés qui témoignaient du goût exquis et de l’adresse des artisans. Contrastés dans les êtres et dans les paysages, les deux visages de l’Assyrie, celui de la Bible, séduisant mais violent, dominateur, et celui des archéologues, envoûtant et raffiné, finirent, à mes yeux, par se confondre dans la personnification symbolique de Sémiramis, la reine au bandeau d’or. Fine, intelligente et farouche amazone, elle surpassait en beauté toutes les dames du palais. Sammouramat, la femme du roi Shamshi-Adad V, qui régna à Kalhou de 823 à 811 avant notre ère, semblait à l’origine de cette légende. Sémiramis aurait épousé Omnés, le gouverneur de Ninive puis, en secondes noces, le roi Ninos. Devenue veuve une nouvelle fois, elle aurait tenté des conquêtes, conduit une expédition militaire jusqu’aux Indes, fondé Babylone et créé ses superbes jardins. Elle ne pouvait mourir et se perpétua en une blanche colombe, l’oiseau assimilé aux dieux. Sémiramis conserva la mémoire de son pays, atteignant les dimensions d’un mythe. Elle enflamma les imaginations des Grecs, Hérodote, Ctésias, Diodore de Sicile, mais aussi celles des Romains, des Arméniens, des Européens. Crébillon, Voltaire, Valéry, Gluck, Rossini, en firent une héroïne d’œuvres littéraires, d’opéras. Degas lui consacra un tableau académique. Ces monarques n’étaient pas des débauchés aux molles bedaines, faibles et lascifs ou des tyrans sanguinaires comme on les a parfois représentés. Fardés, parfumés, couverts de bijoux, certes, mais virils, énergiques, toujours en marche. Epris d’une impossible paix, ils se sentaient poussés aux conquêtes les plus éclatantes et aux plus hauts vertiges par les peuples voisins, qui serraient, tels des joncs, les frontières de l’empire et les mettaient en péril. Guerriers robustes, plus impétueux que les flots, ils anéantissaient leurs adversaires, pulvérisaient leurs boucliers, ils établissaient leur triomphe sur les territoires et n’avaient point de rivaux. Ils assimilaient la guerre, qui leur assurait des perspectives économiques, à une lutte contre le mal. 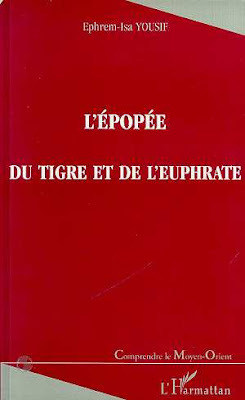 Persuadés du bien-fondé et de la réelle supériorité de la civilisation assyrienne, ils voulaient qu’elle soit reconnue et adoptée par les pays environnants. Ceux-ci payaient tribut à l’Assyrie mais profitaient bien de sa stabilité économique et jouissaient des avantages moraux et matériels de la protection royale. 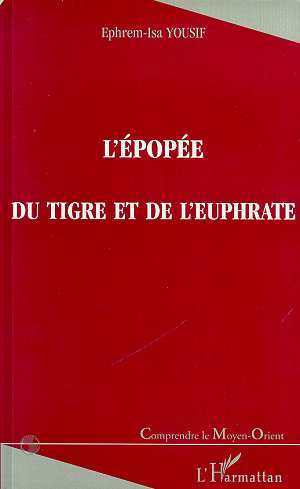 A l’intérieur de l’immense empire, qui, au septième siècle, allait de Chypre jusqu’à l’Iran et faisait communiquer les peuples, les langues et les cultures, les rois n’exerçaient pas un pouvoir absolu, à la façon de Louis XIV, en France. Leur parole n’était pas une lame tranchante. Ils devaient compter sur l’assemblée des Anciens, sur la noblesse et la caste militaire. Ces princes superbes, charmeurs, artistes, humanistes avaient des devoirs envers leur pays. Il leur fallait développer l’agriculture, entretenir les temples et les canaux, construire des digues, faire respecter les lois. Grâce à une politique de prestige, à une administration centralisée, ils essayaient d’assurer à tous leurs sujets la dignité, le bien-être, la prospérité. Ils les associaient fièrement à leurs triomphes et à leurs joies. Lors de l’inauguration de leurs palais resplendissants, les souverains invitaient parfois les habitants des villes à de plantureux festins et les rassasiaient pendant plusieurs jours de mets savoureux, de vins fins, et de chants. 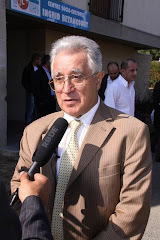 Simples représentants et serviteurs des dieux ici-bas, et spécialement d’Ashur, les rois n’étaient pas immortels. Après leur mort, ils descendaient au Pays sans retour comme n’importe lequel de leurs employés. Ils ne bâtissaient pas de pyramides à la façon des Pharaons d’Egypte, mais de simples tombeaux. Ils ne tenaient pas à emporter leurs richesses avec eux. La grandeur de ces souverains ne venait pas seulement de leurs prouesses, de leur luxe opulent. Ils voulaient faire briller par toute la terre le nom de l’Assyrie, qu’ils vénéraient. Leur véritable conquête, c’était celle de la paix, de la beauté, de la vie.